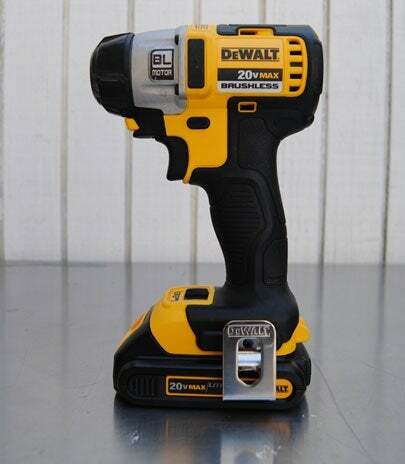 Brushless motor technology has been around for a while, but only within the last couple years have power tool manufacturers actually incorporated brushless technology into cordless power tools. In a typical brushed motor you have rotor, commutator, brushes, axle, and magnets. When a power current is applied, the brushes and commutator make physical contact, and you get heat and energy loss. Brushless motors do not have brushes that make physical contact. The technology behind a brushless motor is more advanced, making them more expensive to manufacture. And brushless tools also take more time to develop, since the guts of a tool need to be redesigned. But there are plenty of advantages, including longer runtime, more power, and longer life. Makita, DeWALT and Milwaukee have all introduced brushless motor power tools, starting with the impact driver. But be prepared to see a lot more cordless power tools with brushless motors. As they proliferate, the cost of manufacturing should go down, which in turn should lead to lower consumer prices. Do you have any brushless tools and what is your experience with using them?